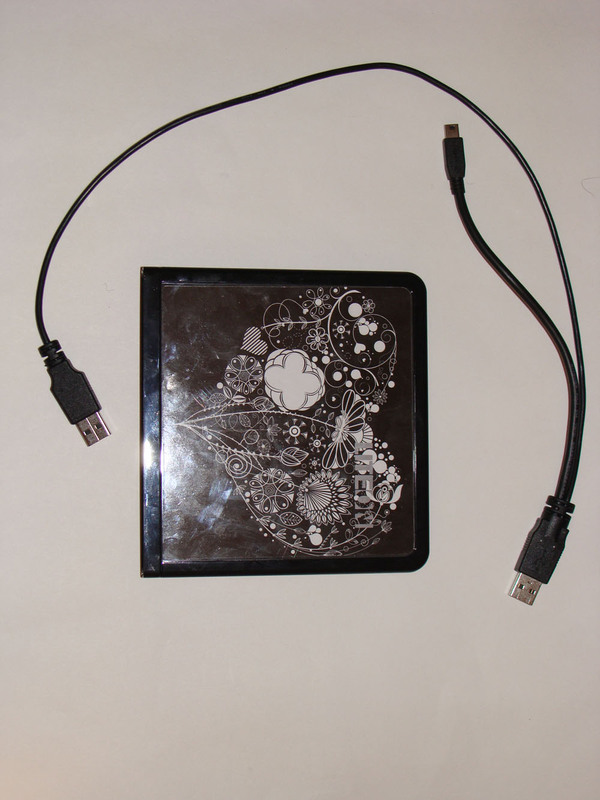 Have you ever had a portable DVD writer and thought that it was just not personal enough. Well then the eNAU608 from LITE-ON might be for you. 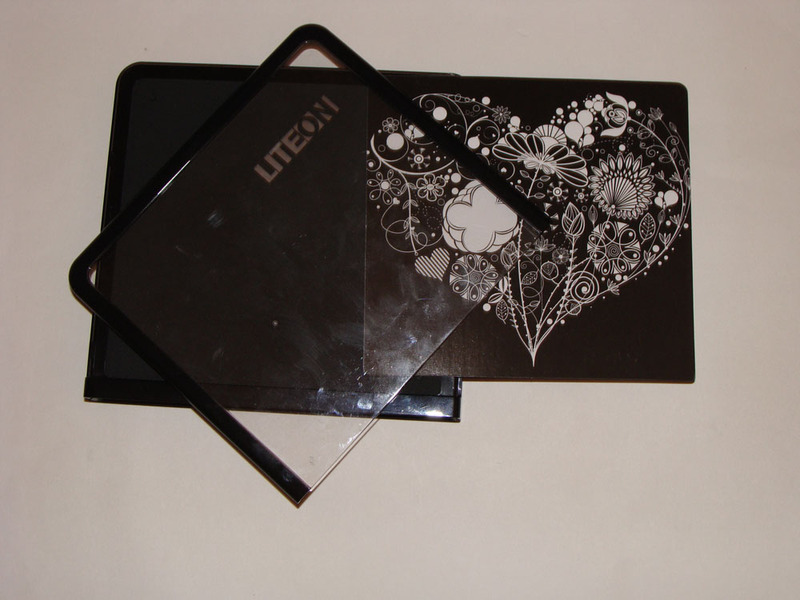 The drive comes with a removable transparent top similar to a picture fame where you can put one of 8 inserts included with the drive or anything else of your choosing. But is the drive any good or is all just about looks. I decided to find out. After removing the LITE-ON eNAU608 from the box, I was presented with the drive, a CD containing Nero, a cable and the writer. 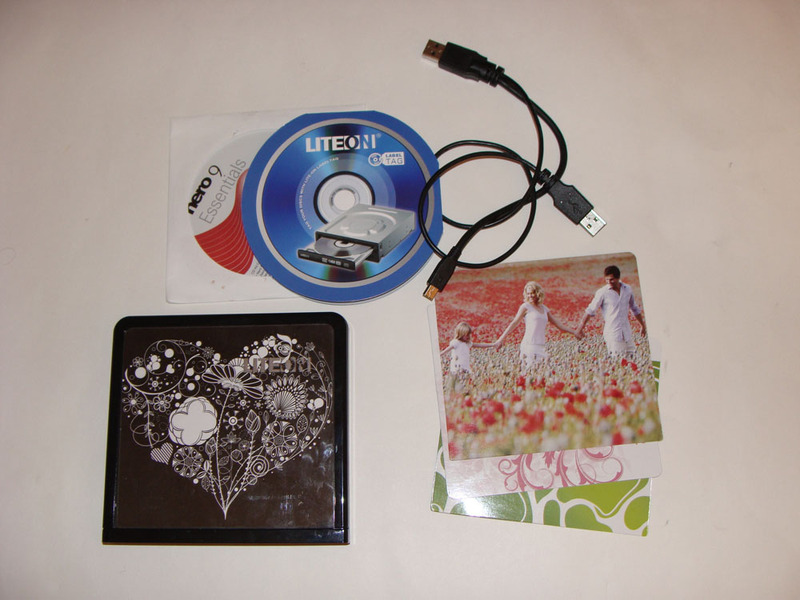 As you can see in the pictures below, the drive comes standard with the heart shaped insert. 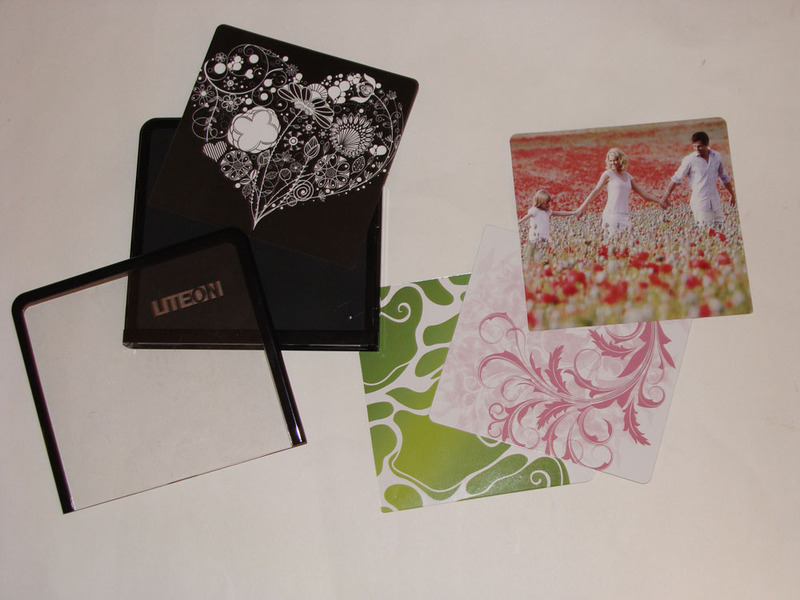 Other inserts include several patters, and a picture of a field of flowers. The inserts can be removed by sliding the top panel backwards and lifting the insert. The pictures below illustrate the process. It is important to note that anything with the dimensions of a square with approximately 5″ on the side will do as an insert. With the inserts removed the drive looks similar to its sister drive the eNAU108 which delivers the same performance. 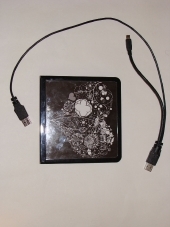 Looks of the LITE-ON aside one of the major problems is the cord – it is just too short. The length of the cord is just a little more than the length of the drive which gives it about 6″.